What mountain is shown on the MacBook and iMac? Discussion in 'MacBook Pro' started by jbachandouris, May 5, 2011. Probably the wrong forum section, but I wasn't sure where it belonged. The yellowish mountains wallpaper found on the iMacs on display and MacBook: where is that? I searched and all I could find was that the file name was called cirque (mounatin?) which isn't very helpful. Anyone know? Did you look int the Screensaver folder on your Mac? ALL it says is that is called cirque. I am asking WHERE that mountain actually is. Google was no help either. Never mind me, my reading comprehension skills are horrendous. I don't think its Mt Fuji. Isn't it in America. I've wanted to know the answer for some time, but I never thought to post. Funny thing is no one in the Apple Store knew either. I don't think so either, I edited my post "cuz I'm not learnded with dem fancy books and such". I apologize as I'm no help. It's not Mt. Fuji, it's a cirque somewhere. Maybe in the Pyrenees? Do you mean Mac OS X Lion wallpaper? It's Mt. Fuji volcano in Japan during sunset. Nope. Snow Leopard. Yellow Mountains. They're referring to cirques in snow leopard. Yes, but where are these mountains located? I tried to give the answer in a post earlier. It looks like somewhere in the Pyrenees. I looked at the wikiredia link and did not see it. Yep, Nahanni National Park, Canada. View of Nawasheir mountain range from Abbottabad in Pakistan. The mountains are in Canada's NW Territory. 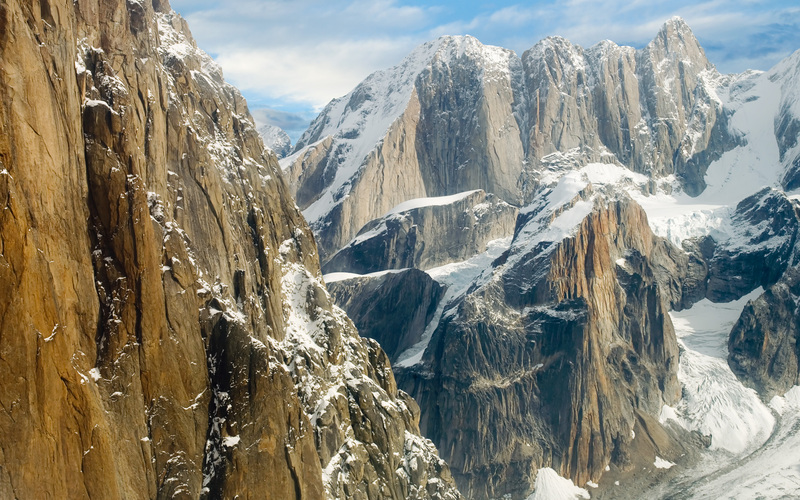 They are a cluster of peaks and sheer walls of granite in the Nahanni National Park Reserve, which is within the Mackenzie Mountains, named The Cirque of the Unclimbables. Hence, the photo title Cirque in OS X. Looks like the grand Teton to me... Think I've stood at the spot where it was taken from. Definitely Nahanni National Park as others have mentioned, here are some other views, in particular, the last one at the bottom of the page.